Professor Afcha is Doctor of Economics, University of Barcelona, Spain. Diploma of Advanced Studies in Economics, University of Barcelona, Spain. Bachelor of Economics, University of Carabobo, Venezuela. He is a member of Teaching Innovation in Political Economy at the University of Barcelona. Member of Research Group ERCONFI Atlantic University in Colombia. It has also been journal reviewer of the journals Applied Economics and the Journal of Business Economics and Management. In regards to his professional experience, he has served as Educational Researcher, Department of Public Economics at the University of Barcelona, Research Analyst Unit of Analysis and Prospection Promotion Agency of Innovation and Internationalization of the Catalan company (ACC1Ó). He has done research stays at the Copenhagen Business School, Denmark and the University of the Atlantic in Barranquilla, Colombia as a fellow of the Young Professors and Researchers program BSCH. Actively participates in national and international academic conferences. In connection with its intellectual production, he is the author and co-author of various articles published in refereed and prestigious magazines, among which include: Social Responsibility in MSMEs of Sincelejo, Sucre (Business Dimension, 2015); The impact of R&D subsidies on R&D employment composition (Industrial and Corporate Change, In press 2015); Other publications: Public funding of R & D and Its effect on the composition of business R & D expenditure (Business Research Quarterly, 2014); The evaluation of technology policy, basic approaches and recent developments (Editorial Academic Spanish, Lambert Academic Publishing GmbH & Co., 2012); Analyzing the Interaction Between R & D Subsidies and Firms Innovation Strategy (Journal of Technology Management & Innovation, 2012); Impact of the introduction of an online self-assessment system in the academic performance of students of law in the course of Economy (e-government, 2012); Behavioral additionality in the regional context of innovation policy in Spain (Innovation-Management Policy & Practice, 2011); The impact of subsidies for R & D in the company: Empirical evidence on alternative approaches to evaluation (Iberoamericana Science, Technology and Society Magazine, 2011); The adoption of organizational innovations and their impact on business performance (Management Magazine of Venezuela, 2011); The impact of public support for R & D Company: A comparative analysis between state and regional subsidies (Regional Research, 2009). His research interests are mainly focused on the area of Innovation, Technology Management and Technology Policy Evaluation. 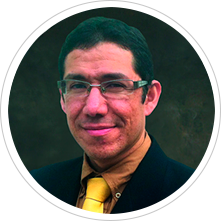 He currently is Affiliate Professor at CENTRUM Católica Graduate Business School.